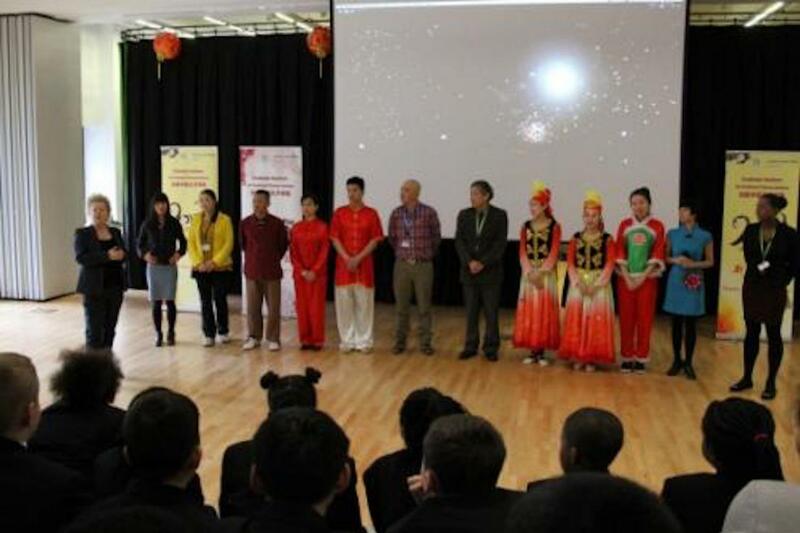 CITCM visited University Academy of Engineering South Bank and presented a Chinese New Year roadshow on 3rd March, 2015. 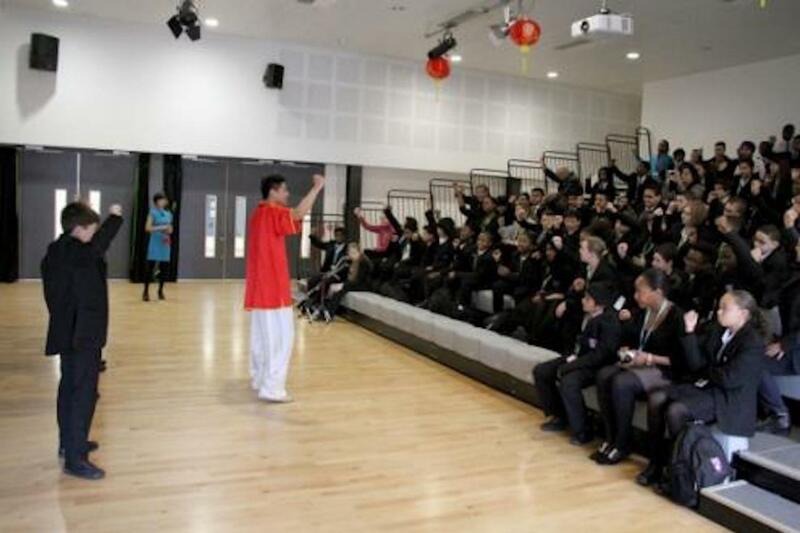 All the students enjoyed the experience of the festive Chinese New Year celebration. Ms Jane Rowland, the Principal of the Academy, introduced the CITCM and the Year of the Goat to the students. She remarked that she was born in the Year of the Goat and was pleased to welcome the CITCM Performance Troupe for the first time. 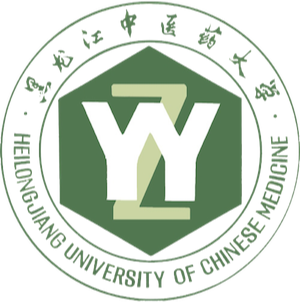 She then welcomed and thanked Prof Yinong Xu, Executive Director of the CITCM. 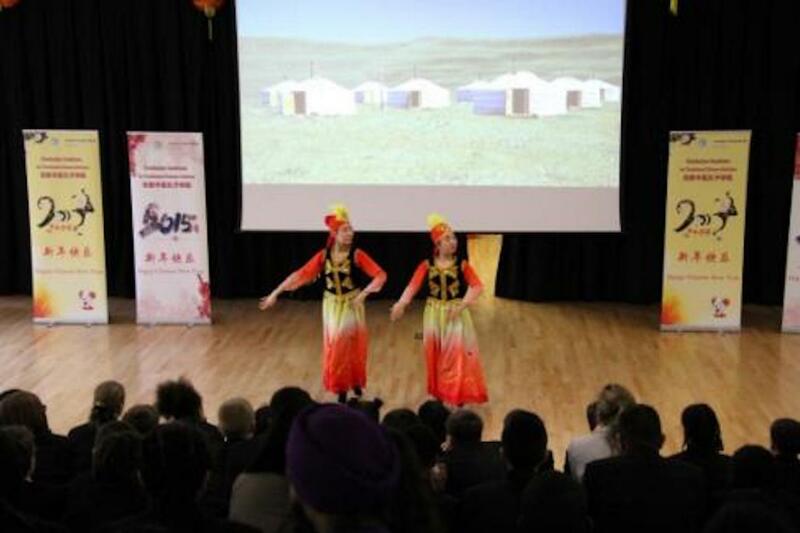 Accompanied by the cheerful music entitled ‘Festive Joy’, the performers carried red lanterns and danced animatedly. This set the jubilant atmosphere for the rest of the show. 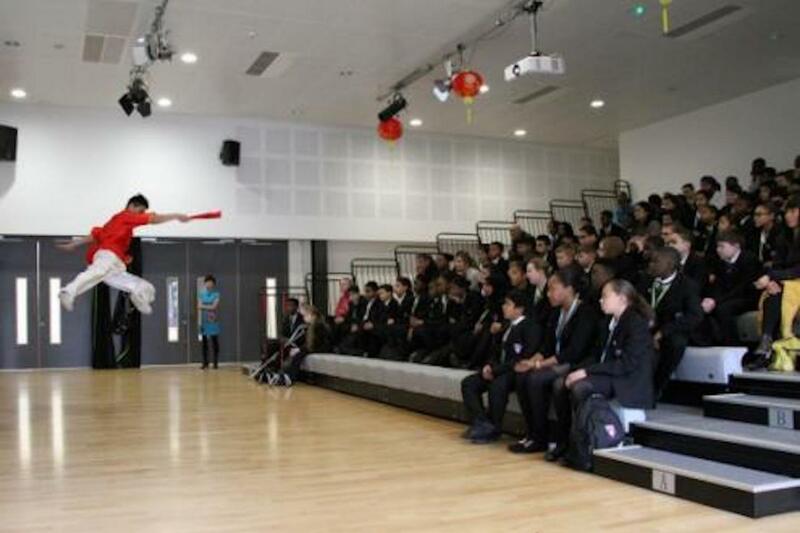 The students were fascinated by the various performances, such as the beautiful folk dance, powerful taiji fan and nunchaku. 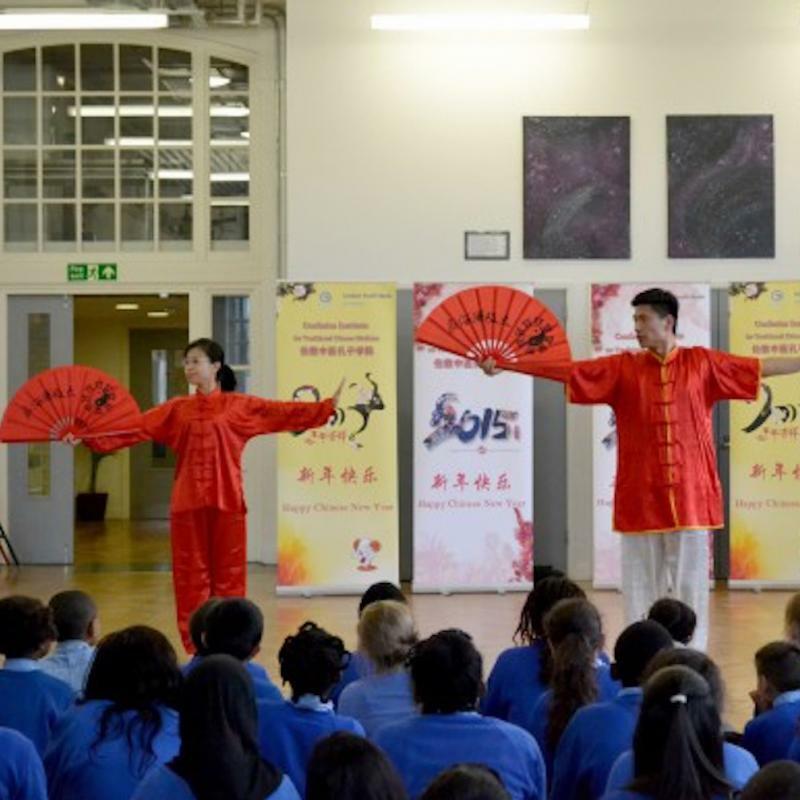 During the martial arts interaction between the performers and the audience, the students were all eager to participate and to experience Chinese kung fu. They carefully imitated the martial artists’ moves, which included the martial arts greeting, pushing the palm, squatting and waving the fist. 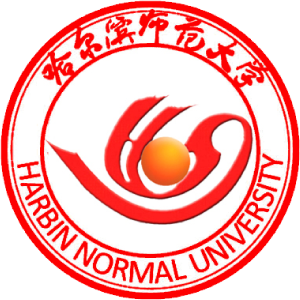 The participants’ efforts were rewarded with praise and encouragement from the audience. 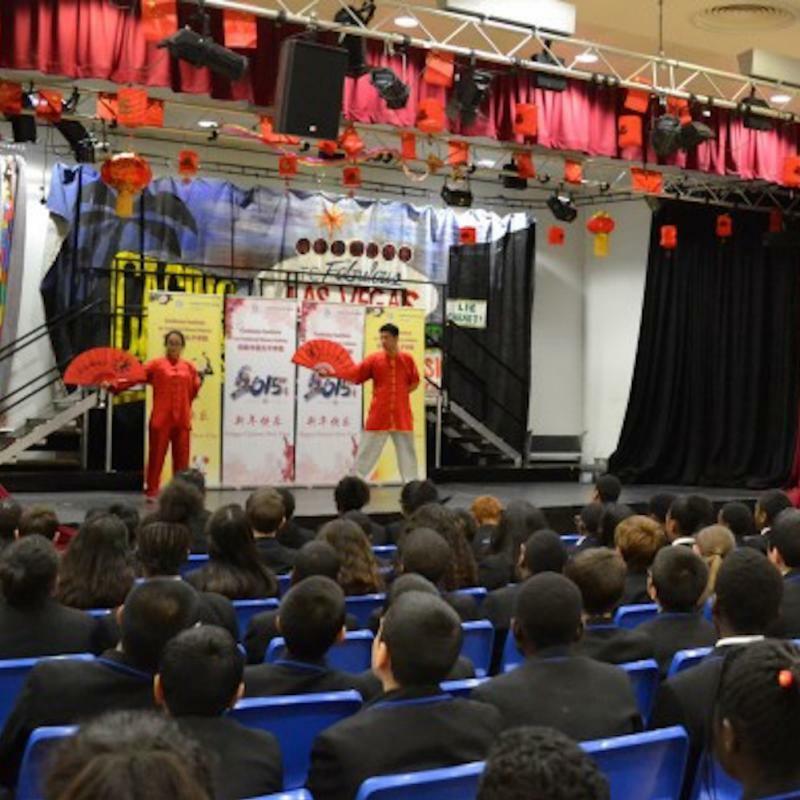 When the show concluded, the students expressed their gratitude in Mandarin Chinese by saying “Thanks, Happy New Year!” Some students mentioned that they were impressed by the size of China and that the show had deepened their understanding of Chinese culture and motivated them to learn more Mandarin.